1. Kitsak V.Ya. Virusnye infektsii beremennykh: patologiya ploda i novorozhdennykh [Viral infections in pregnancy: a pathology of the fetus and newborn]. Koltsovo, 2004. 84 p.
2. Kurmanalieva Z.B., Atykhanov A.O., Kerimova N.R. Lipid peroxidation and antioxidant defense system in the blood plasma of women with miscarriage and against the background of herpes infection. Vestnik Kyrgyzsko-Rossiiskogo Slavyanskogo universiteta = Bulletin of the Kyrgyz-Russian Slavic University. 2007; 7(9): 88-91. 3. Maurer G. Disk-elektroforez [Disc-Electrophoresis]. Moscow, 1971. 154 p.
4. Vinogradova I.A., Bagryantseva S.Yu., Deviz G.V. Method for the simultaneous determination of 2,3DFG and ATP in erythrocytes. Laboratornoe delo = Laboratory work. 1980; 7: 424–426. 5. Biokhimicheskie metody issledovaniya: spravochnik. Pod red. A.A. Pokrovskogo [Biochemical Research Methods: Handbook. Edited by A.A. Pokrovskii]. Moscow, Meditsina, 1969. 337 p.
6. Didkovskii N.A., Fillipova A.V., Idel'son L.I. Methods of diagnosis of hemolytic anemia caused by unstable abnormal hemoglobin. Laboratornoe delo = Laboratory work. 1971; 3: 154–159. 7. Folch J., Lees M., Sloane G.H. A metod for the isolation and purification of total lipids from animals tissues. J. Biol. Chem. 1957; 226: 497–509. 8. Kirkher Yu. Tonkosloinaya khromatografiya. Per. s angl [TLC. Translated from English]. Moscow, Mir, 1981. p. 52-115. 9. Gavrilov V.G., Gavrilova A.R., Mazhul' L.M. Analysis methods for the determination of lipid peroxidation products in the blood serum test with thiobarbituric acid. Voprosy meditsinskoi khimii = Issues of medicinal chemistry. 1987; 1: 118–121. 10. 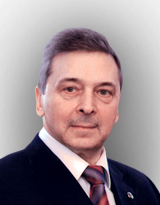 Lutsenko M.T. Sposob otsenki narusheniya deformiruemosti eritrotsitov v perifericheskoi krovi beremennykh pri obostrenii v tret'em trimestre gestatsii gerpes-virusnoi infektsii. Patent RF № 2407452 [Method of Assessing Violations of Erythrocyte Deformability in Peripheral Blood of Pregnant Women during Exacerbation in the Third Trimester of Gestation Herpes Viral Infection. RF Patent number 2407452]. 11. Katyukhin A.N. Rheological properties of erythrocytes. Modern methods of investigation. Rossiiskii fiziologicheskii zhurnal im. I.M. Sechenova = I.M. Sechenov Russian physiological journal. 1995; 81: (6): 122–189. 12. Zverko V.L., Rakut' V.S., Zinchuk V.V. Pathogenetic significance of erythrocyte deformability in the mechanisms of preeclampsia. Meditsinskie novosti = Medical news. 1999; 7: 51–52. 13. Zinchuk V.V. Methods of measuring the deformability of red blood cells. Zdravookhranenie Belorussii = Health care of Belarus. 1989; 12: 97–98. 14. Ishutina N.A., Dorofienko N.N., Andrievskaya I.A., Dovzhikova I.V. Changes microviscosity membranes of red blood cells in pregnant women infected with the herpes virus. Byulleten' fiziologii i patologii dykhaniya = Bulletin of the physiology and pathology of breathing. 2006; 23: 16–17. 15. Zhaofel L., Blissard G.W. Baculovirus Gp64 D: sulfide bonds: the intermolecular disulfide bond of Autographa californi-ca multicapsid nucleopolyhedrovirus Gp64 is not essential for membrane fusion and virion budding. J. Virol. 2010; 84 (17): 8584–8595. 16. Lutsenko M.T., Andrievskaya I.A., Dovzhikova I.V., Solov'eva A.S. Fetoplatsentarnaya sistema pri obostrenii gerpes-virusnoi infektsii vo vremya beremennosti [Fetoplacental System at an Exacerbation of Herpes Virus Infection during Pregnancy]. Novosibirsk, 2010. 245 p.